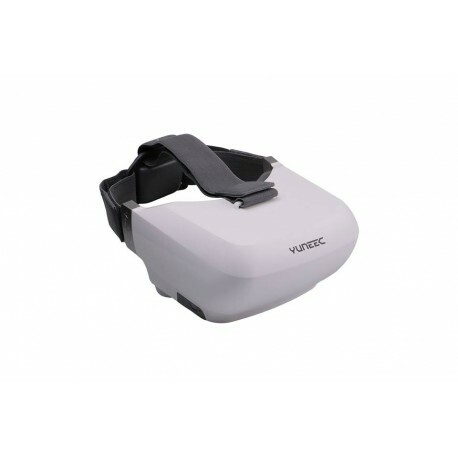 The new goggles made by Yuneec which will put the FPV world upside down. SHIPPING DATE : IN STOCK AND SHIPPING. The new SKY VIEW goggles, for all the FPV lovers, but with many more additional functions. Take a seat "high up in the sky" and enjoy the view like never before. The SKY VIEW goggles are especially designed for their use with the Typhoon H and Tornado H920. They allow you to only concentrate in the very best shot at every moment, as you will see everything, just as if you were "on board" your multicopter. Additionally your SKY VIEW goggles are also compatible with any device featuring an HDMI output. Connect your device, put on your SKY VIEW and you will be totally immersed in your own virtual reality experience. Ideal for many exciting applications, such as videogames or movies. * Flexible and adjustable headbands for a comfortable fit. * The soft padding and light-weight design provide great comfort. * The SKY VIEW goggles allow the use of most glasses. * 5" HD screen - a brilliant picture of your virtual reality experience. * Connect your earphones directly to the AUDIO output. * The goggles are charged via USB. * HDMI output to connect to your device.